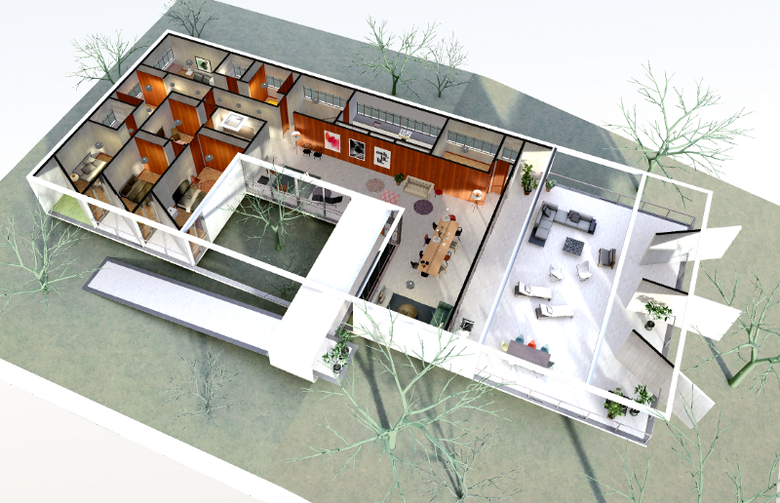 Many of you have been using Archilogic 3D models to create beautiful user experiences. And many of you have asked for more customisation opportunities. Now we’re expanding our offering with the biggest update yet: 3d.io. 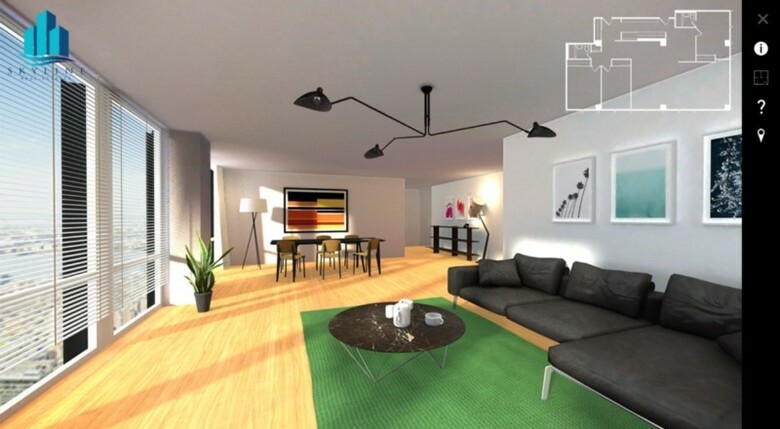 This new platform introduces the most advanced toolkit for creating interior apps based on our cutting-edge APIs such as the 2D -> 3D conversion and the Homestaging AI. As we were finalising the release of 3d.io we were contemplating how to maximise the options our users have to create experiences — while at the same time making sure that usability across platforms and devices is ensured. We decided to support aframe.io as it enabled us to combine libraries with all the existing components A-Frame has to offer (including VR support). 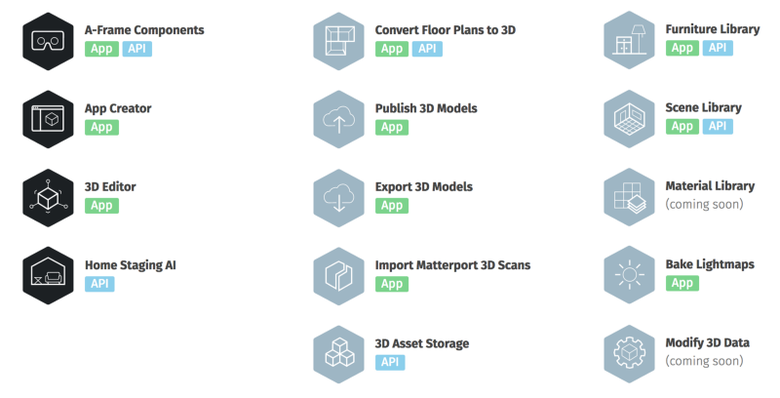 As a result, it is now possible to easily create architectural 3D content with 3d.io’s APIs and then turn this into amazing 3D apps using 3rd-party components. Take a look at our AppCreator to experiment with 3D right in the browser. Here's an example where we created a floor plan overlay for orientation in the 3D model. Link to the "How-to" instructions. We believe that there will be a creative explosion in terms of building-related applications in 3D. As we are working on digitising all of the world’s interiors there is bound to be an incredible wealth of applications which will be developed by 3rd parties. In order to inspire our users we decided to create a Certified Partner program which shows hand-picked companies that create beautiful content and applications based on the 3d.io platform. Go here to check out their work! And...of course let me know if you're interested in joining the page! We believe that 3D will be ubiquitous, in particular when it comes to buildings. Having standardised 3D building data in the web is the entry barrier for a wide range of applications which will help us improve our living and working environments. As a result, we're trying to lower that entry barrier to near zero. In practice, this means that all of our services can be tested for free - we intend to charge you with volume (assuming it's correlated with success!). This includes 2d -> 3d conversions into Basic Models. Please don't hesitate to contact me here or via DM to learn more - I look forward to hearing your thoughts. This is very cool. Nice work! Wow, great development! It's great to see innovation coming at such a rapid pace. Whoah. This is a treasure trove of amazing tools that will take quite a while to unpack!!! @PointCloudVR @Metroplex360 thanks! Looking forward to the first 3rd party applications that make it into the wild. Just found it - really awesome. Look forward to play with it.